Interested in learning more about data science approaches to astronomy? Invite one of our alumni to give a talk in your department! Bela is a PhD student at the University of California, Irvine studying observational cosmology. She is interested in learning about dark energy and its role in the evolutionary history of the universe. She is currently working on developing and running simulations of the instrument response and developing software pipeline components for DESI and LSST. 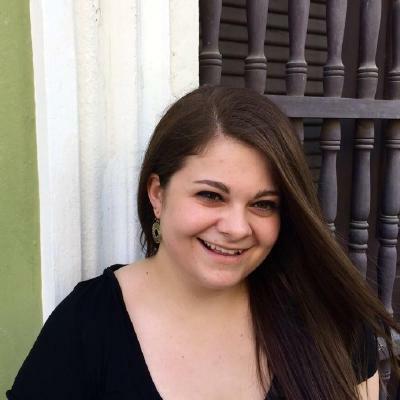 Kirsten is a PhD student in Astronomy at Columbia University with an interest in data science, machine learning, and galaxy evolution. 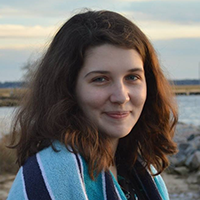 Her recent work focuses on understanding the connection between chemical abundances, orbital dynamics, and the formation history of the Galaxy. Eve is an Astronomy Ph.D. student at Northwestern University. Her research focuses on data analysis techniques related to the direct detection of gravitational waves and astrophysical implications of gravitational-wave events. Eve is an active member of the LIGO Scientific Collaboration and has contributed to data analysis for several of LIGO's past detections. She is also interested in electromagnetic follow-up of gravitational-wave events with transient surveys such as LSST. Tianxing is a graduate student at Arizona State University in Tempe, AZ. She is interested in many topics in observational extragalactic astronomy, e.g. galaxy evolution, extreme emission-line galaxies, high-redshift galaxies, epoch of reionization. She is excited to get involved in LSSTC data science! Dongming is a Physics Ph.D. student at UT Arlington. He is conducting stellar simulations about compact binary systems in globular clusters with N-body and MOCCA codes. Nancy is a PhD student at Texas A&M University. She is interested in studying the formation and evolution of galaxies using primarily observational techniques. Her recent work focuses on using satellite galaxies to test of the nature of dark matter and feedback mechanisms in galaxy evolution. 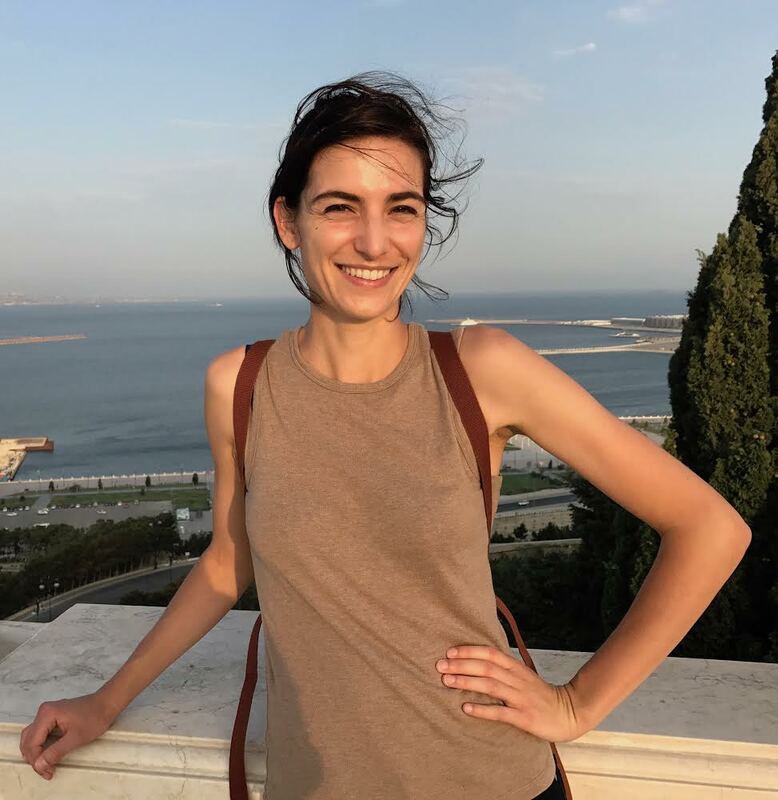 Cecilia is a planetary scientist at the University of Arizona studying atmospheric dynamics and climates of terrestrial planets, as well as their effects on habitability. She has also worked on the dynamics of small bodies in our solar system. Joachim worked as a research scientist assistant for LSST and is an incoming graduate student at the University of Washington. He is interested in big data and software driven solutions in observational astronomy. Nicholas is a graduate student in the Department of Physics at Harvard. His interests include photometric calibration of large surveys, the magnetic properties of M-dwarfs, and the role of M-dwarfs as exoplanet hosts. Jackie is a graduate student at Drexel University. She works with AGN/Quasar lightcurves to learn more about their diverse morphology and accretion disc physics. She is also interested in star formation and properties of all types of galaxies and how they relate to galaxy evolution. Tomás is a PhD student at the University of Southampton, UK. He is currently focusing on the study of Dark Energy by doing Cosmology with Type Ia Supernovae (SNe Ia) using Near Infrared (NIR) wavelengths, which get less affected by dust extinction and also where the SNe light curves show less intrinsic scatter giving a better precision in distance measurements. Previous work was focused on the study of Type II SNe, their nickel mass distribution and explosion mechanisms. Charee is a graduate student pursuing an astronomy PhD at the University of Wisconsin - Madison. She is interested in transient and variable events in a new radio survey called CHILES. In her free time, she plays roller derby under the name SiouxperNova. 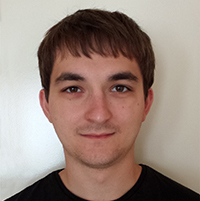 Szymon is a student at the University of Southampton, UK working as part of the Dark Energy Survey. His current projects involve studying physical properties of Superluminous Supernovae and photometric classification of new and unusual classes of transients in large data sets. Nora is a graduate student at the University of Chicago. She is interested in using simulations and astrophysical observations to constrain dark matter physics. George is a Masters student in the Fisk/Vanderbilt Bridge to Doctorate Program. He is currently studying planetary nebulae and stellar atmospheres through simulated and observed spectra.